Subscription boxes with crystals, sage, and other mystical tools are nothing new. The industry started dipping its toe in woo-woo waters a couple of years ago, giving wannabe goddesses the supplies they need every month to keep their chakras balanced and their vibes “magik.” So it would be easy to think of newly launched Smudge Wellness as another cosmically charged Birchbox—but Smudge’s crystals subscription box is something different. Think of it more as a Hallmark card competitor (because when you really care, you send crystals). “We conceived of the Spells because we knew that people are looking for unique and special ways to tell somebody that they care,” co-founder and CEO of Smudge Lara Corey says of the three-month subscriptions you can send to friends to convey messages of “congrats,” “I’m sorry for your loss,” and “get well soon,” among others. Think of it as a Hallmark card competitor (because when you really care, you send crystals). Corey says it was personal experience—her friendship with co-founder Luigi Aldon—that served as the inspiration for the high-vibe startup. Each Spell costs $160 and is delivered initially as a note from you with a “welcome package” that includes a journal, a crystal, and a special tarot card that signifies new beginnings and a fresh start, Corey says. From there, they can fill out an online questionnaire to help Smudge create customized care packages over the next three months. 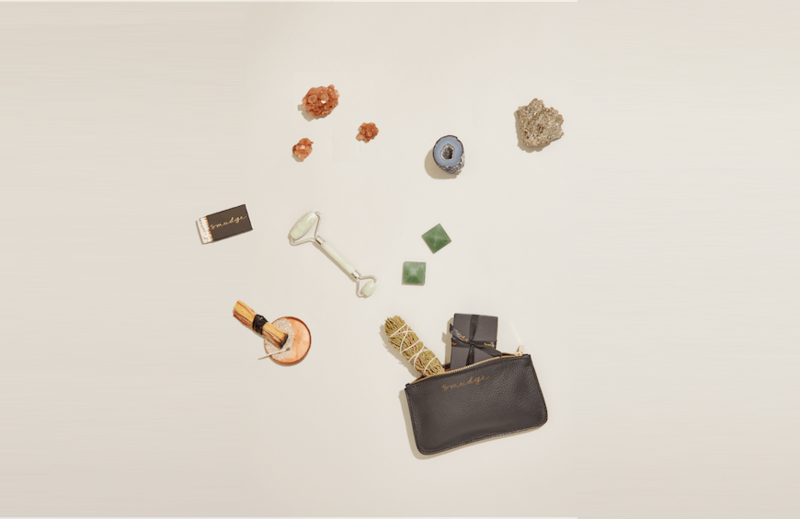 Typically the full haul includes: two crystals; a tool, like a smudging dish or an incense burner; smudging material (you know, the stuff you burn—like sage or palo santo—to reputedly “clear energy” in a room); and an additional beauty or wellness product. The Love Spell includes rose quartz, of course. For a major career milestone, the package might contain crystals associated with focus and strength and a fortifying cedar smudge stick (which is said to be fortifying) or a candle made from ingredients to improve concentration, Corey says. The package also includes suggested rituals designed to kick career goals into high gear. Spells might include savvy pop-culture references as a way to make learning about how to use crystals, smudging, and other tools fun and accessible. “Because a little Beyoncé helps everything,” she says. Praise goddess. For more crystal intel: Here’s why jade should be your new go-to hero gem, and 4 things amethyst is good for (besides looking amazing on Instagram).